Indian Zing | Restaurants of the World Unite! This is one of the things I’ve been really looking forward to for this blog. Going to a single restaurant and brazenly ticking off a massive country with a gazillion different cuisines. I’m so awesomely conceited that this can only inspire envy and admiration from my adoring readers. Still, if you’re going to encompass an entire country’s competing mass of delicious cuisines in a single restaurant then you could do a lot worse than going to Indian Zing (http://www.indianzing.co.uk/). Me and my homies (by homies I mean tertiary-educated, gainfully employed, white, middle-class, home-owning Tory voters. Word) visited Indian Zing on a Friday night. 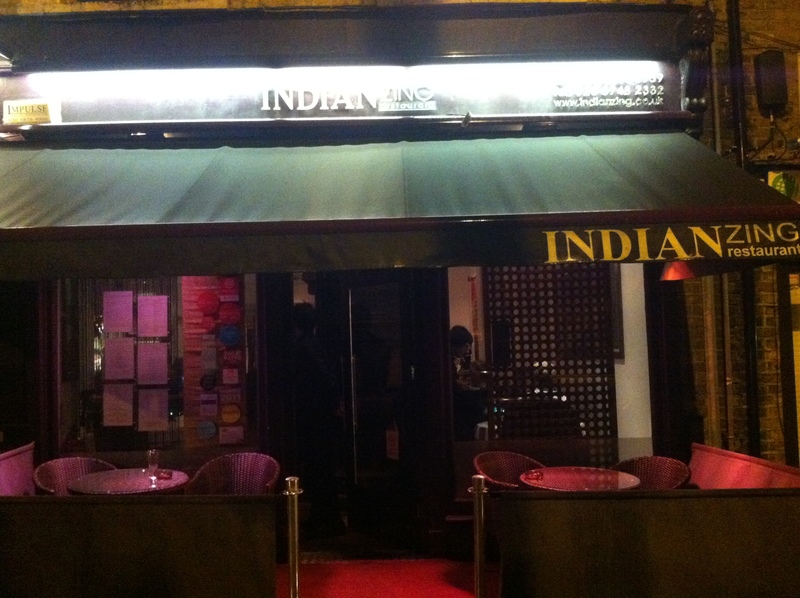 Indian Zing offers a complex and diverse menu, forgoing a standardised list of Madras, Jalfrezi, Korma, Vindaloo with meat variations, instead offering a range of interesting looking one-off dishes. The meal always kicks off with an espresso-sized shot of curry soup which sounds rank but is a welcome start after coming in from the frozen tundra of Hammersmith. I then opted for the Zing’s Chicken Kebab and followed up with Khyber Pass Raan (which sounds like the name of an Afghan Arthur Daley). 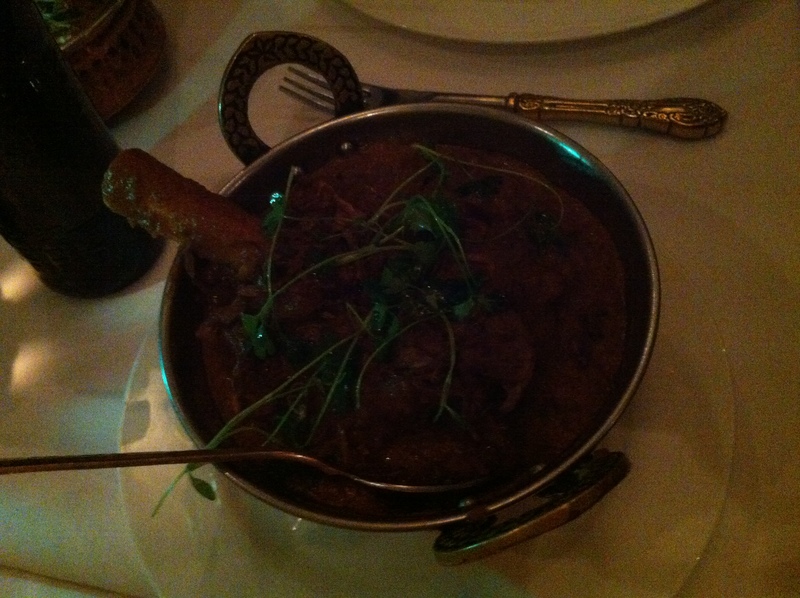 The kebab was tasty if a little forgettable but the slow cooked lamb shank in a “robust gravy” was tender. Much like myself. My (public schoolboy) homeboys went for other stuff which I can’t remember and didn’t note, but it shut them up for the duration of the main course so must have been good. All washed their curries down with a tall, cool Cobra. 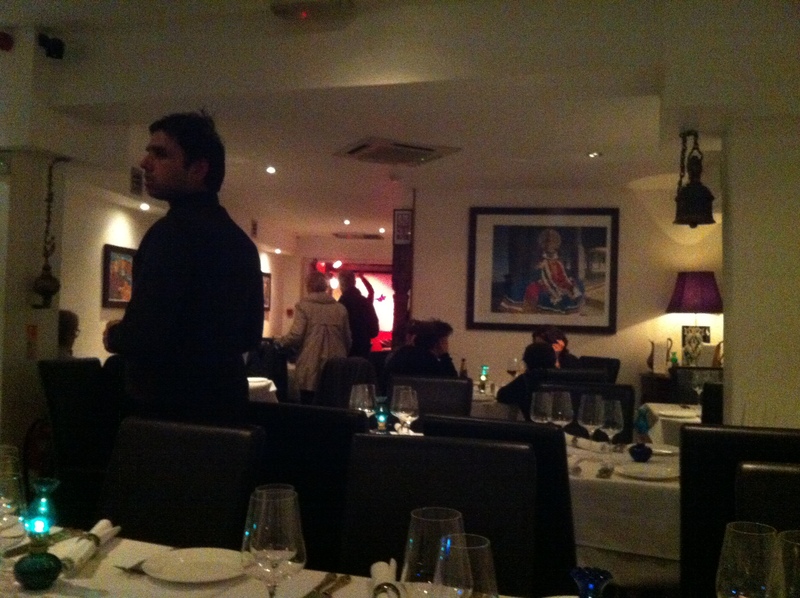 We saw James May of Top Gear the last time we went to Indian Zing. Or a guy who looked like James May. Fascinating. 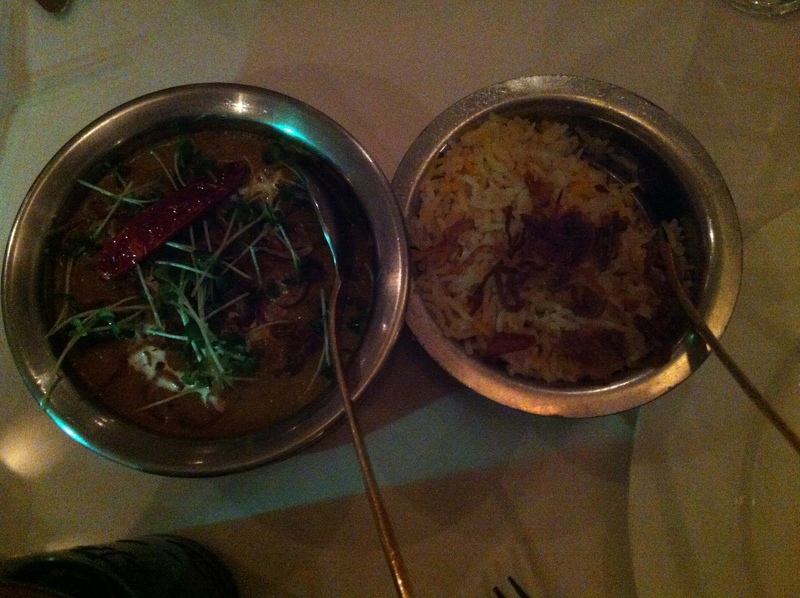 I’d also recommend Dishoom in the centre of town (http://www.dishoom.com/). And not just because it’s so close to Stringfellows. Good atmos. The staff wear uniforms that make them look like Star Trek crew members. I bestow on Indian Zing another star. Khyber Pass Raan up to his dodgy dealings once again. 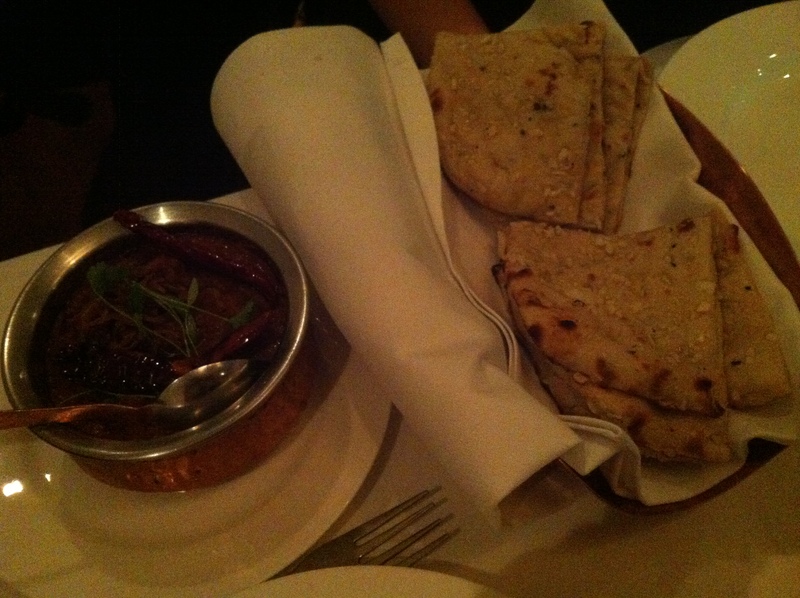 Some sort of curry with garlic naan. Curry from above with pilau rice. Or Pilaf. Or Peleau. Or Pulao. Or Palau. Get your story straight all Indian restaurants. I’ve been trying to think of an Indian Zing all day. New Delhi? Old Delhi more like! Zing … I’ve got nothing.